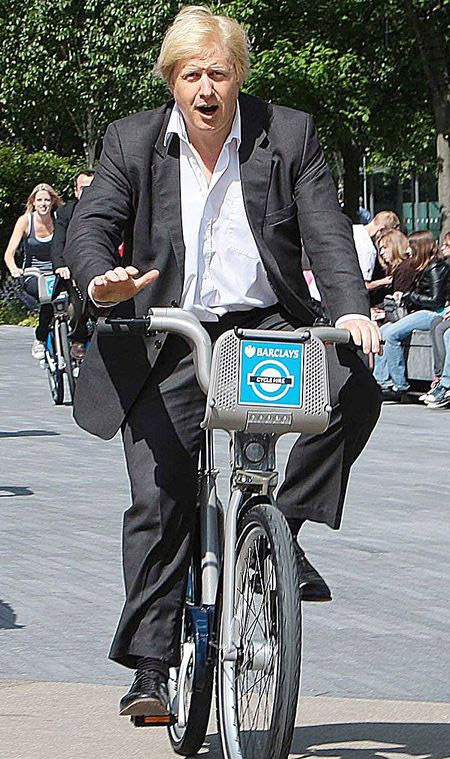 I’ve been a cyclist for a few months and am still learning about bike practise and etiquette in London. I posted before about the Easy Rider, a type of cyclist that you encounter a lot. But the Easy Rider occupies just a small niche in the broader community of bikers, a community that has its secret rules, signs and codes. It’s these signs and codes that make up the “Hidden Hierarchy” of London cyclists. 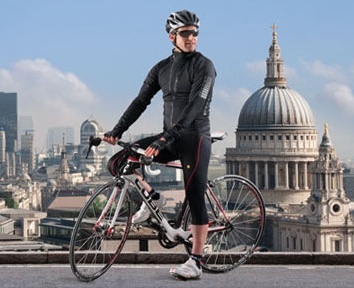 It was in September 2010 that I first cycled properly in London, getting on one of the best road bikes near the IMAX and wobbling uncertainly across Waterloo Bridge. I didn’t realise that I’d entered the hidden hierarchy at its very lowest level and had become an untouchable of the roads. When I look back I almost wince with shame. But why does this matter? And what is the hidden hierarchy anyway? The hidden hierarchy is something you start to get a feel for the more you cycle, and while it’s easily mistaken for basic snobbery it’s more than just the class system on two wheels. In fact it can be pretty helpful in certain situations. The way it works is that you gauge the trustworthiness or seriousness of other cyclists all the time, largely subconsciously, and figure out where they stand in the hierarchy. This then affects how you behave towards them. Do you follow their lead on scary unfamiliar roundabouts? Do you wait behind them if they’ve parked up behind traffic? Should you try to move ahead of them when pulling away from traffic lights? Do they look like they know where they’re going? Do they seem confident in their interactions with traffic? Do they travel at a decent but responsible speed? Are they dressed sensibly and safely? What kind of bike are they on? Are they riding in an appropriate gear, or are their legs pumping wildly even though they’re only doing 6mph? The hidden hierarchy isn’t about whether someone is wearing expensive cycle gear or if they’re on a sleek and expensive bike. People like that can seem inappropriately overequipped, like men who bring their own snooker cues to play 50p frames of pool in soggy pubs. If anything the most trustworthy people tend to have older, well-worn equipment whose battered state makes them look like people who have been around the block a few times. Here’s an example of the hidden hierarchy at work. When I started cycling I was nervous about moving through traffic jams. I didn’t have a feel for how big a gap I could get through and my balance wasn’t great either, so I worried about hitting cars. So usually I would just wait in the jam, as if I was a car, rather than take the risk of moving through the gaps. Now imagine an experienced cyclist saw me, with no helmet and wearing normal clothes, sitting awkwardly on a Boris bike in front of a big gap between two buses. They’d probably try to get past me and move through the gap without hesitation. It wouldn’t trouble them that someone as low-level as me has decided to wait. But what if the person waiting at the gap looked like a veteran cyclist? Maybe they knew something was up – maybe there’s danger ahead? The cyclist might think twice, and maybe even decide to stay back as well. When someone doesn’t look, ride, or behave like a bewildered novice, their actions will have a stronger influence on everyone else. The more I cycled the more I understood the hierarchy, and found myself taking cues from people who seemed savvier than myself. Today I don’t look for guidance as much, but the hierarchy has other effects, such as on my position at traffic lights or deciding whether to overtake someone. But I often wonder how others perceive me. After all, I ride a fold-up bike so people must think I’m pretty low down on the cyclist food chain. Is that a problem? I’m not sure it is. If you start to care about the hidden hierarchy, and go out of your way to look the part, you’re in danger of becoming one of those conspicuously overequipped fanatics I mentioned earlier, in which case your credibility will suffer. Maybe there’s only one true way to rise in the hidden hierarchy: just try not to care about the hidden hierarchy. As a grizzled veteran of the London Overground, I’d become accustomed to the routine of the daily trundle across the city’s northern districts to get to Hammersmith. I’d toyed with the idea of cycling, but the length of the journey was just too discouraging. All that changed after I spent a couple of months working in Spitalfields and got into the habit of cycling as I really love traveling and going to new places, I used to be in a scooter club and Im recently trying to buy a new one so I can keep on the adventure, there are really great recommendations in the Scooter Adviser where you can find the best electric scooters. When I changed jobs again and ended up back in Hammersmith, I was resolved to stick with the bike – no matter how knackered I became. So, for the last few weeks I’ve been cycling from Islington to Hammersmith. It was traumatic at the beginning, because my route took me through central London and I nearly gagged from bus fumes on the first day. But since then I’ve found a much better route. It’s knackering, yes, but I’m getting used to it. It probably won’t be long before I completely adjust to the routine and become a hardened cyclist, so I’m taking to chance to note down my observations about the world of cycling before that happens. Today I’m going to talk about a type of cyclist that I call the Easy Rider. The Easy Rider has two gimmicks. The first is that they cycle at a very relaxed pace, and the second is that they are completely oblivious to red lights. The second comes as a bit of a surprise, as you’d expect light-jumpers to be the fast-paced cycle-courier types, not these people who glide gracefully along the road. You first encounter an Easy Rider when you overtake them, which isn’t difficult because they’re so slow. You don’t expect to encounter them again, but you do, and it will happen when you’re waiting at the next red light and they come trundling past you. This cycle then repeats itself – you overtake them, hit a red light, they trundle past, you start moving, you overtake them, and so on. It gets annoying after a while, not just because it’s always frustrating to see cyclists jump red lights, but because it’s tiring overtaking people over and over again. So you wonder, maybe they’re on to something? The Easy Rider is remarkably unruffled while you, what with all the acceleration you’re doing, are a sweaty, gasping wreck. And you both get from A to B in the same amount of time. But ultimately I don’t feel I can become an Easy Rider. They look really relaxed and they’re probably laughing at people like me – those suckers! – who stop at red lights, but I’d just be too worried about what might happen each time I sail out into that junction. Would my graceful insouciance survive a collision with a pedestrian, truck or car? And I frown on red-light jumping for reasons other than my own personal safety anyway. I’m happy to keep overtaking them no matter how sweaty I might get. At least I’m getting some decent exercise!